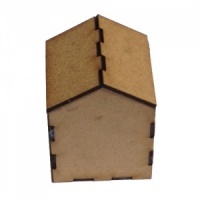 Block style short house kit (plain all round, flush roof) is ready for you to assemble, alter and embellish - use singly or in a row. 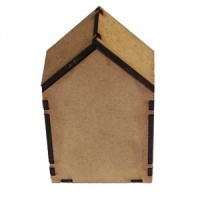 This design comes with a wonky roof style and is ideal to mix and match with other styles and sizes of house for different arrangements. 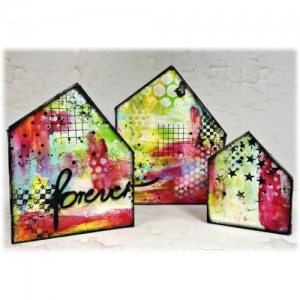 You can also glue several together to create unique and seasonal street scenes. 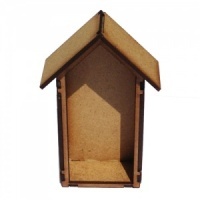 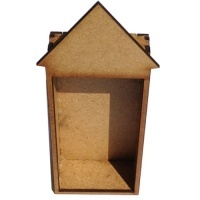 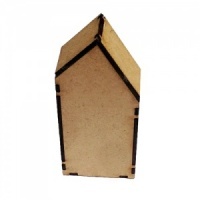 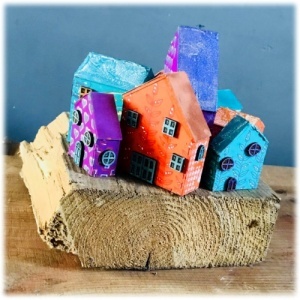 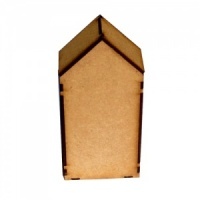 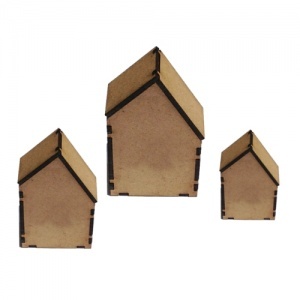 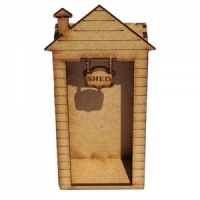 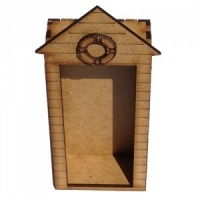 As these houses are manufactured from MDF rather than chipboard or greyboard, they are super sturdy and will take virtually any treatment you throw at them! 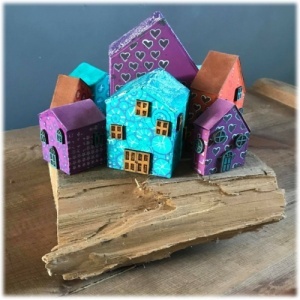 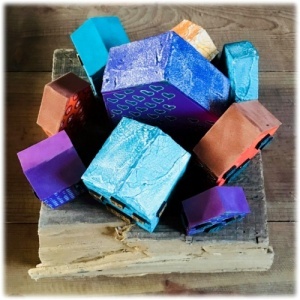 Ideal for creating your own unique mini masterpieces! 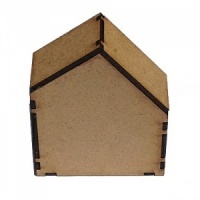 Assembly: House kits are easy to assemble - use a good quality wood glue to ensure good results. 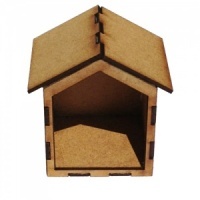 Glue the 2 sides and ends together to form the main house. 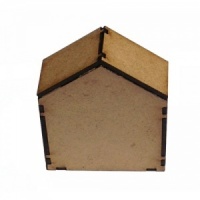 Glue the roof parts together. 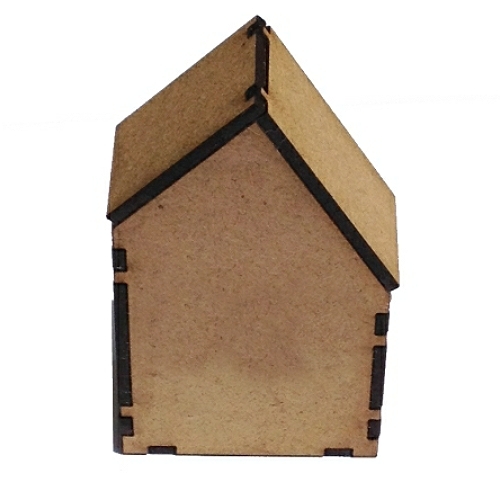 Once dry, glue in the base and pop on the roof - job done!